Hi! My name is Cher. 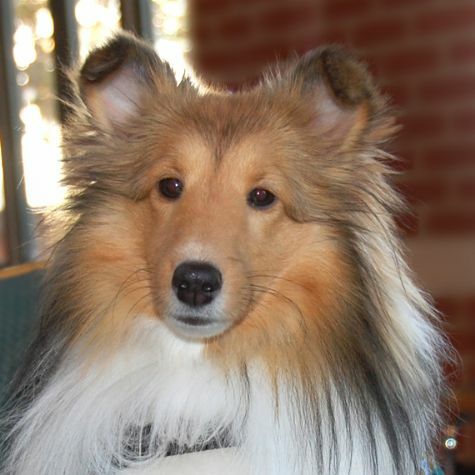 I am a Sheltie, and I was born in 2007. I am a girl who is lovable and smart, and I enjoy prancing! I live with my older sister, Aimee, and she is a therapy dog like me. I attend obedience school, and I win obedience competitions! Even though I attend obedience school, I love chewing on necklaces or dangling earrings. So you wouldn't want to wear either of those around me. I am too small to compete in conformation classes, but I love being a therapy dog!